“And when did we see You sick, or in prison, and we came to You? And the Sovereign shall answer and say to them, ‘Truly, I say to you, in so far as you did it to one of the least of these My brothers, you did it to Me.” – Mattithyahu 25:39. HalleluYah for the work that has been done in prisons all over the USA, Canada and the world. 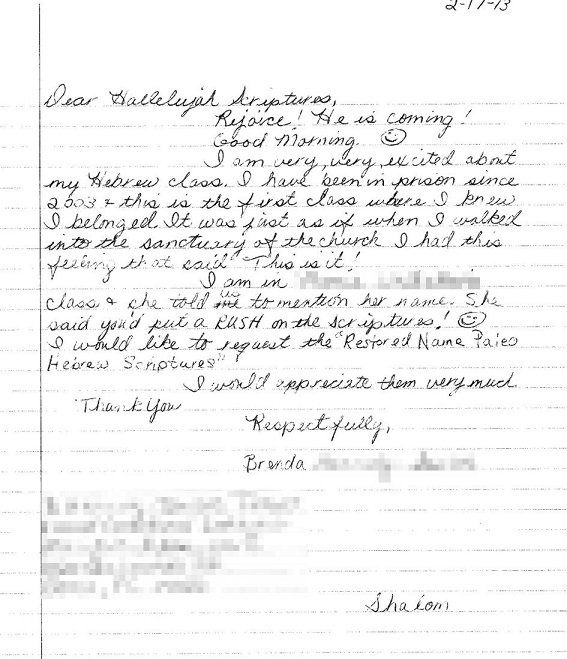 The project has been able to send in thousands of free copies to prisoners and not only prisoners, but their families as well, as many prisoners share the Truth with their families and do Bible studies with them through the mail. "It has been written, 'He scattered abroad, He gave to the poor, His righteousness remains forever.' And He who supplies seed to the sower, and bread for food, shall supply and increase the seed you have sown and increase the fruit of your righteousness." 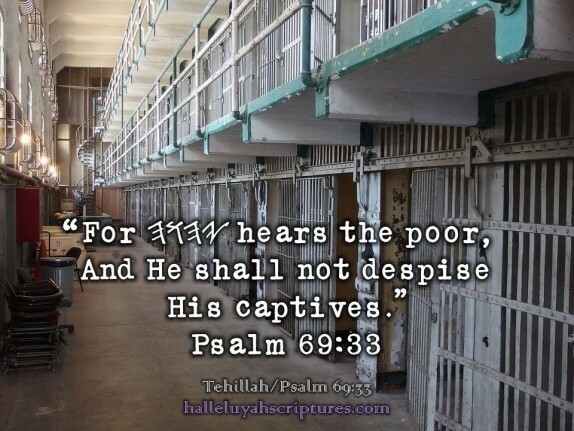 As I sit alone inside of this cell, having no one on the outside to care for me, nor to care for, I think of Father YHWH and Master Yahshua. And then - your website comes to my heart. Yours is the only address I have in here and so, I am requesting a copy of the HalleluYah Scriptures and I await its arrival with great anticipation. Thank you for taking the time to read this letter. May YHWH bless you and keep you, may He cause His Face to shine upon you and keep you all in His Ways. I love you all, Steven. We have received a huge number of letters now on a weekly bases from prisoners who are seeking a free copy of the HalleluYah Scriptures. They have heard about the Halleluyah Scriptures from other inmates or have seen copies in the hands of other prisoners or have heard about it from some people outside the prison who write to them or they see it in newsletters that believers send into the prison. The requests continue to grow very fast. Firstly, I would like to thank all the wonderful people at your organization for the service they provide by distributing free books of scripture that are much closer to the original writings than others around. Without the unselfish service you people provide, I would never be able to own such a quality book of Scripture as yours. It has been one of my most treasured and useful possessions. I have shared it with a new inmate who was scared, depressed and afraid. He is young and this is his first experience. We read together out of the HalleluYah Scripture and his face lights up every time we study from it. Thank you, - Todd. There is no doubt that lives are being touched through the prison work the HalleluYAH Scriptures project has had a hand in for many years. 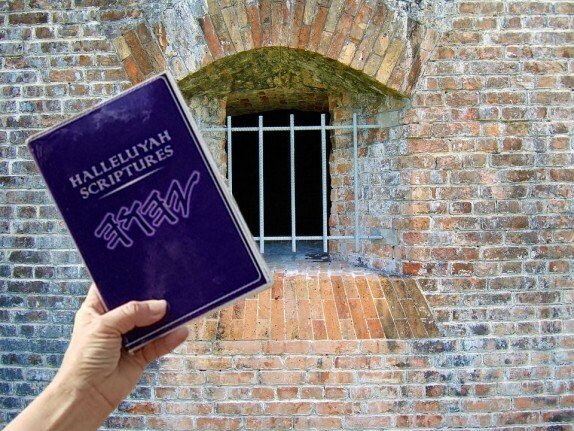 To date, the HalleluYah Scriptures has been received into many hands of prisoners not only in the US but in other countries across the world. Halleluyah! We are touched by messages like this as we know He has placed His people in the right places to help share His love and peace. Since our prison project began 8 years ago, nearly every library in the United States has received a copy of the HalleluYah Scriptures for prisoners to find and seek out His Truth and doing this, we have had many come to know His Truth and order their own free copy. From this project and other sources we receive hundreds of orders for the HalleluYah Scriptures from prisoners all over the USA and other parts of the world now. To our friends and brothers at HalleluYah Scriptures, On behalf of the remnant of believers here at M.H.C.F., I just want to thank HalleluYah Scriptures and other reading materials. Along with our volunteers, your references have greatly allowed us as a community to grow in the grace and knowledge of our Master and Saviour Yahushua ha'Mashiach. Our Shabbath services are greatly enhanced by being able to read the sacred names of our Elohim and Savior as they were meant to be. We all together as a community thank YHWH for putting volunteers and ministries like yours in our path to teach us the truth of the Scriptures. Your efforts and support on our behalf are greatly appreciated. Your materials have increased our knowledge and brought us closer to our Father YHWH. We will continue to stand firm in the faith and teach others the truth and importance of the Sacred Name. Please keep us in your prayers as we do the same for your ministry. To YHWH wise alone, be the esteem through Yahushua ha'Mashiah forever. Amen - Armando. There are thousands of letters that have touched our hearts, individuals who need our prayers, and those who are desperate to get the HalleluYah Scriptures. 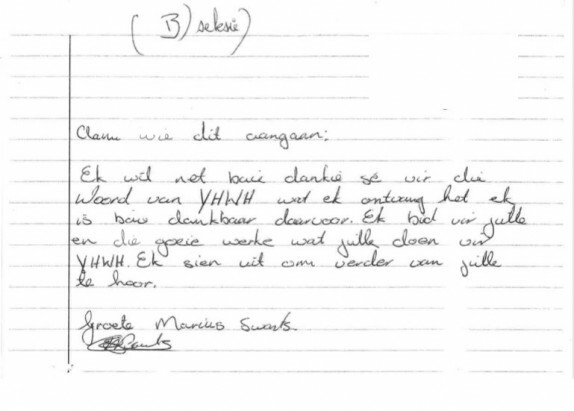 Even some who are already on death row write to us! We try and share as many letters and messages in articles or on the comments page as possible as we are so very busy 6 days a week, working very long hours. Greetings. I pray that by the time you receive this that you are doing well. I believed my HalleluYah Scriptures and I love it so much. I was at ease as soon as I started reading. I thank you so much. This bible gives me a chance to study the Scriptures and get a complete meaning of exactly what the True Names are. I really thank you for your help, your time and your prayers. - Lenton. Thank you so much for sending me the HalleluYah Scriptures. I received it tonight and feel so honored and blessed for getting this Scriptural Truth sent. So much is coming my way right now that is opening my eyes and mind and heart to the Truth. I know our Father rewards those who diligently seek Him and the Truth. - Luke. The HalleluYah Scriptures, the Word awesome continues to fall from my mouth and try to describe how I like it. So, to close, and as a Jewish born believer in Messiah Yahshua - I can honestly say that this is by for the best book of Scriptures I have read in nearly forty five years! Thank you to all of those who put in the time, research and effort to make HalleluYah Scriptures the greatest, most excellent bible I have, the privilege and honor to own and read. - Marshall. We also have groups that go into prisons to share His Truth, which has been amazing and through these believers and Chaplains we have been able to send larger shipments to Chaplains to have in the prison for when requests come through. HalleluYah, YHWH is amazing and we see His hand daily, working through this project. We praise Him daily and thank Him for allowing us to do this work with you, His people. Greetings in the esteemed Name of our Father Yhwh & Savior Yahshua, I like to say thank you for the Torah it's a big help in my life it's the true may YHWH baruk you and keep you. I just like to say you all or so much of a big help that I can't put it in words you all or helping YHWH's people get a better understanding and that's great keep up the good works. Shalom. I love all in the Ruah of Yahweh. - Maurice. He is moving hearts all over the world, indeed including those who are in prison. 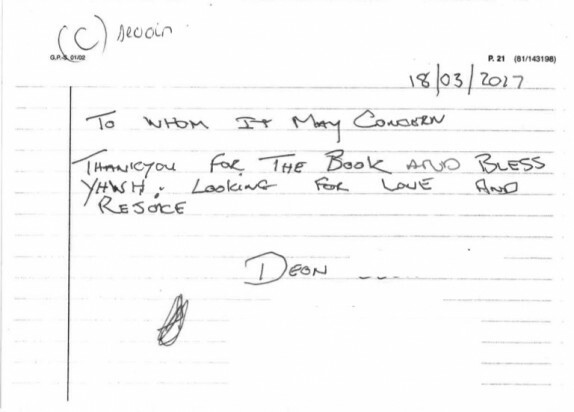 We receive a huge amount of mail each month from prisoners who are desperate for a copy of His Word. They share letters of encouragement and testimony. Here is an example of the Ruach on each and every person on the face of the earth, as YHWH moves His Love Letter to all peoples. Greetings and Shalom in the love of YHWH and Yahshua. First of all, I'd like to express my extreme gratitude for the HalleluYah Scriptures that I received. I love it! It gives me a sense of greater perfection. Making me feel closer to truth. Thank you very, very much. - Jake. 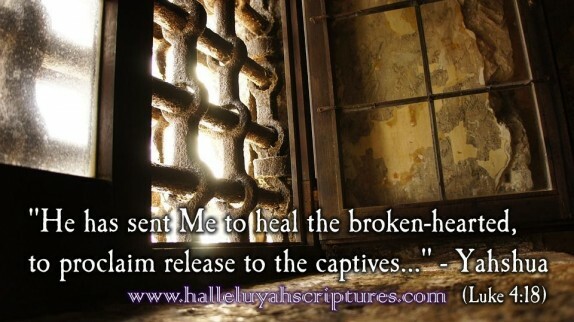 The free HalleluYah Scriptures copies that go to prisoners are solely supported from gifts outside the prison. Those that donate to make this happen are truly investing in life everlasting and we can report that these prisoners pray for you, the one that gave them the free gift that has life. The vast majority, if not all, of the prisoners simply have no means to support the HalleluYah Scriptures and so, are very thankful and grateful for your free gift. You just need to read some of these articles to see the love they have for YHWH and how grateful they are to you. Shalom Aleichem HalleluYah Scriptures My name is Jason. I can't remember when I sent a letter to you to gain a copy of HalleluYah Scriptures, though I have received a copy of it. I am writing to thank you for sending me a copy of the sacred Name scriptures. I have been grateful to read Names that have been titled for our Saviour and our Father. The gift has been a blessing in more ways that I can count. I have used it very much. Ever since I have used this Scriptures with the proper understanding my life has been a little rocky, though that is because YHWH has been taking me from babylon. I thank you for your gift, and I hope to be able to do something to help in the future. I will not forget the kindness you have done for me, and thank you for your service to inmates. May YHWH bless and help you to provide for all those who ask for your help. May you be blessed in all things. And may He be your strength. In Yahshua's Name I pray this Amein. Brother, Jason. Hello HalleluYah, My name is Jason. I received the HalleluYah Scriptures version of the Torah. I received this after I had forgotten I ordered it. I am very thankful for this greaet gift. I know that it cost much to print. And I am also thankful to our Father for your service in my continued growth of the faith. I will be taking great care of this gift. May our heavenly Father take care of all of your worries and may He give you all guidance into your decisions. B'Shem Yahshua ha'Mashakh. Amein. - Jason. To whom it may concern I wanted to let you know that I received the HalleluYah Scriptures and the 'Name Meanings.' Praise YHWH for He is good! Thank you so very much for now I am able to truly hear what my super loving, super merciful Father has to say. May YHWH bless you all abundantly and I can't wait to meet you all in eternity! HalleluYah!!! Your Brother in Yahshua, Greg. All praises to Father YHWH and His Son! The HalleluYah Scriptures has reached thousands all over the world to those who are in genuine need. More free copies have gone out into the hands of the homeless, the prisoners and the truly poor than copies that have had costs covered. We are shipping large shipments out around the world full-time now. Our postal agent family in the USA work full-time on this project now and they count it all joy. They have been postal agents for 6 years and work very hard for YHWH and His Son. They have also been on the team for near 10 years. Yes, my name is Ernesto. Your ministry has recently sent me and some other Messianic Jewish brothers a copy of the translation you provide. I truly am thankful for it. It is the best translation I have ever come across, especially that it has the sacred names. I love it so much and cherish it! I use it every day. I am just sending this letter to express my gratitude. May Yah bless your ministry for providing these copies of the scriptures. I will keep it forever and always use it. Thank you so much, Shalom. Your brother in Mashiah, Ernesto. Greetings friends, Thank you very much for your gift of the HalleluYah Scriptures. It will be a treasured possession and one that will never be forgotten about your kindness to me. May our Father richly bless you for giving me you gift of abundant life. Blessings in His Name, Dan. If YHWH has barak us with the power to help others, as well as those who are desperately seeking for comfort and answers, then we should do it.. It is our duty. Giving His Word is more important than wasting tens of thousands of dollars having someone visit to do a quick talk to those that are converted, as this is forgotten within days and the funds are wasted, when all we should be doing is getting His Word into the hands of the people so that His Ruach can teach His people and guide them and encourage them to go out and seek the very lost. This does not cost much and His Words never come back void. They are in the heart of the person that reads His Word. These brothers and sisters are like those in the Third World Countries who do not have any opportunities nor options whatsoever to get a job or extra work. They live in such poor conditions and their wages, if ever they do have jobs, are next to nothing. Like the prisoners, they cannot go and get a job and are truly in genuine need of our help. With your donations, please help us to help these needy people even more. Dear HalleluYah Scriptures team, First I wish to thank you from the bottom of my heart for my HalleluYah Scriptures. I know it came to me as a free gift. I have done nothing but read it sense I've gotten it. The Names being in the right places is so right. Thank you once more. This world needs people like your team to help people like me. Who can't get hold of stuff out there in the world outside these walls of wire. I, you, and your team a piece of my peace that I now have cause of my new bible. Thank you so much. Now I can relax and read YHWH's Word the way it was meant to be. - Joey. 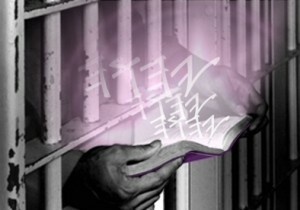 Men are imprisoned but YHWH's Word is not chained, carrying YHWH's Message to the prisoners through HalleluYah Scriptures is the number one thing that is so important for prisoners as they come to understand and walk in His Truth.. What a beautiful act of obedience the project is doing, you can see clearly the fruit of our work for Elohim. I decided to write to you because I sincerely believe in the work you do in bringing clarity to the Word of YHWH and upholding it as Truth (Yohanan 17:17). I made the decision that because I believe so much in the work you do that I am going to support your cause on a regular basis. The Word of Elohim is that near and dear to my heart. I have been using the HalleluYah Scriptures for 4 years now and in my studying of the Hebrew Culture and language for the past 10 years, I must conclude that HalleluYah Scriptures is undeniably the most accurate English Transliteration of the scriptures of YHWH. I appreciate the work that you do and thank you for it because it is definitely needed in these last days and I believe HalleluYah Scriptures is part of the fulfillment of prophecy in Malachi 4:5-6. I hope my check helps, it is not much. May YHWH Elohim richly baruk you all at HalleluYah Scriptures as you go about being a bearer for His Truth! - EliYah. 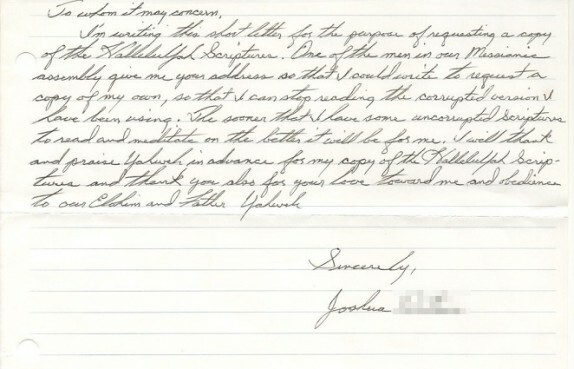 This brother donates regularly to the HalleluYah Scriptures project while in prison. His love for His Word is amazing and has touched us so much. 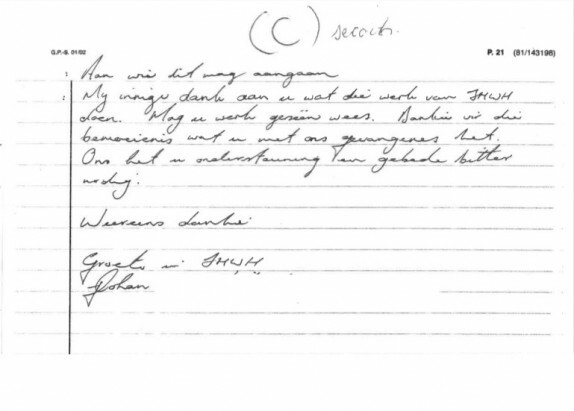 We also receive letters from him on a regular basis and very much enjoy receiving them. 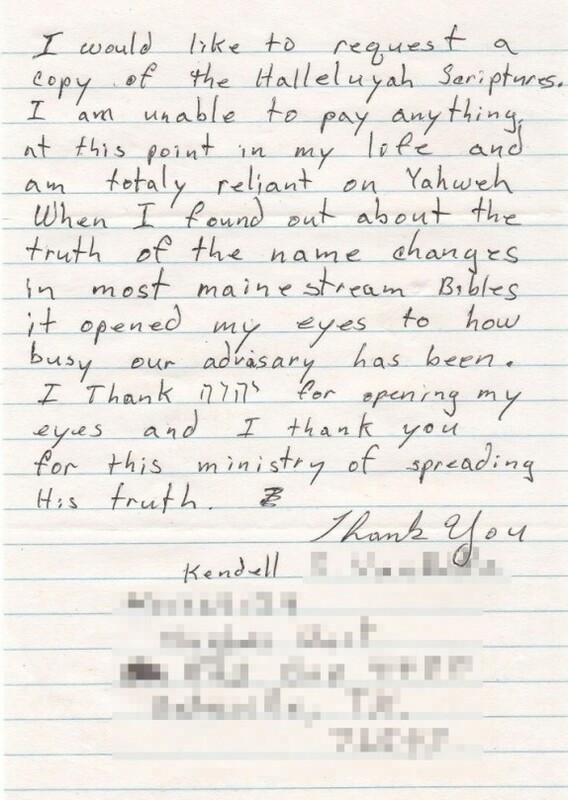 We have received thousands of letters from those who have actually confessed the reason for being in prison and from those whose hearts have been deeply convicted and they desire to be immersed into the true Names YHWH and Yahushua ha’Mashiach, HalleluYah. 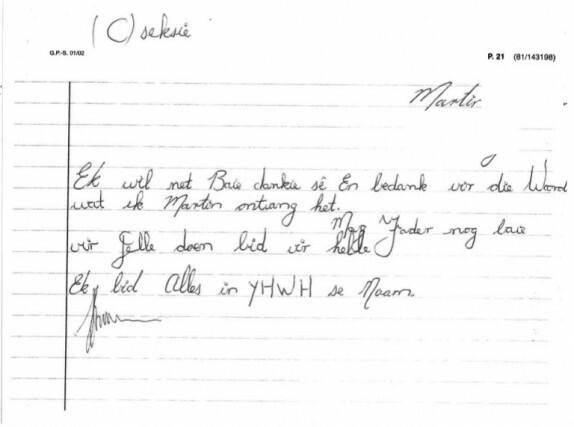 The elderly sister that deals with the prisoners mail and HallleuYah Scriptures mail and has since 2012. Her heart is so very special and her love for prisoners is outstanding, she sings, praises YHWH and prays a lot each daily for the needs. The above prisoner made a confession to HalleluYah Scriptures that made my breath leave me, I have just come before Abba in prayer for his mother and him. He confessed that he did something worse than Cain, he said, "I killed my mother". I am a wounded-lost soul looking for answers. May the Creator bless you all - please pray for me. I am in quite repose before Elohim for this man. The suffering and horrible acts that lead to a living death is very sad. 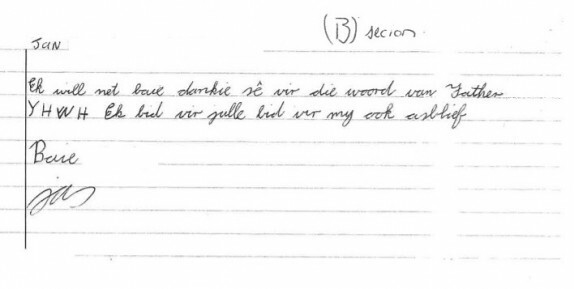 I have never read a letter like this before. The stories are many and heartbreaking, Yahshua knows them all. There are prisoners who are telling us they have even been trying to witness from prison to their family members about Elohim’s true Name YHWH and Yahushua. One prisoner, raised in a Jewish home said he was, “really impressed with the paleo Hebrew.” The Father’s hand is moving!! Many brothers are on death row and have come to believe and have a passion for His Word and we even have a couple of prisoners that donate what they have in prison to this project and will not hear of us saying that it is not necessary. Please keep them in your daily prayers. One sent his savings as a donation and we sent it back to him, but he returned it back and wanted the project to have it. He would have worked his whole life in prison for that donation. Hallelu-Yah! We thank you abundantly for the scriptures you sent. We are receiving a great response concerning the beauty, accuracy, and readability of your translation, and we would greatly appreciate 25 more copies of HalleluYah Scriptures as funds permit. Again, we thank you for your love, sacrifice and dedication to sharing the Truth. May the Messiah continually prosper you in every endeavor. Greetings and Shalom in the love of YHWH and Yahshua. First of all, I'd like to express my extreme gratitude for the HalleluYah Scriptures that I received. I love it! It gives me a sense of greater perfection. Making me feel closer to truth. Thank you very, very much. Jillian. This young lady is my niece and she has just turned 13. Here is why I am asking this of you. I helped to teach her to read and I've shared the Sacred Names to her. Even YHWH in the dictionary. She is very smart and she is about to be a woman ..... I can't do much for her these days as a prisoner. I only get $5 a month. But to help her in the truth will be the best Gift - and frankly every child should have Truth over deception. I know her receiving HalleluYah Scriptures in the mail will Light up her world. It did mine :0) Jillian has two little sisters. This gift from you will be shared and yet special for a little girl who has a world full of life's delusions ahead of her. Please help me to enrich her life with the Best Gift Ever - YHWH and Yahshua. I assure you this scripture that Jillian receives will be read and valued. I would not have asked if I did not know this. Help me to help her at Righteous Hai ... as I said, she just turned 13. I'd rather have her learn the HalleluYah Scriptures rather than the erroneous lies. I just know it will be a berakah for her and her family, her Ma and Pa too :0). Like I said, thank you for mine. Now let's feed the sheep. The harvest is ready and the workers are few. I love you for all you folks do, pray for me as I do you. May YHWH's richest birekoth be upon all of you and your families. May He continue to barak your ministry.Thank you for your dedication and devotion to our One True Elohim. I recently received my HalleluYah Scriptures book and am deeply grateful to have received such a beautiful book of YHWH's Qodesh Word. I have passed on your address to several of my brothers and they are looking forward with great anticipation to receiving theirs. I felt the Ruah ha'Qodesh place on my heart to send you a small gift. Please use it as He moves you to. In the love of Yehushua ha'Mashiah, Brother Mark. YHWH baruk you guys and I want to say thank you so so much for all your hard work at trying to restore the Fathers word, and trying to encourage people to seek the ancient paths. I really am sorry I wasn't more mature back in the day and made mistakes, but I love you all and you are in my prayers. The ladies in prison still thank you so much. I am praying for you all and fasting for you on a regular basis, please pray for me to. 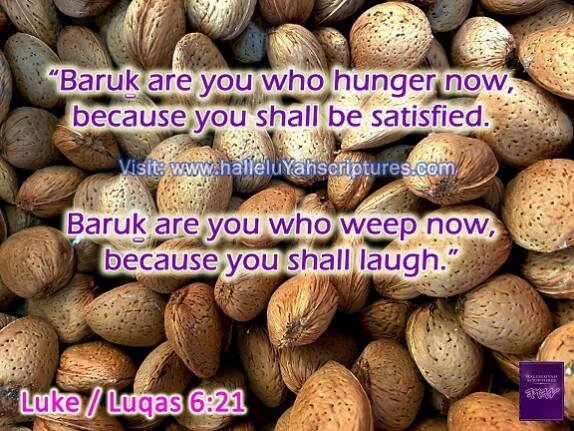 In Yahushua Mashiach, Yah Baruk You! Thank you so much for your help and may YHWH bless you all greatly for your work in sharing the Good News. Love always, Brother Keith. Dear HalleluYah Scriptures, Thank you for your donation to our Jewish studies group. Without your kind donation I would not have been able to afford such a great Torah. I know it is not much but please accept these stamps which you can use to further the blessings to others. This gift means so very much to me and the others in our group. This was a true blessings for us all. Shalom to you all, John. "HalleluYah" to the Lamb of YHWH that takes away the sin of the world! My name is Roger and I am currently incarcerated at the above mentioned address. Though I have been locked up, I am more FREE than I have ever been. All to the Glory of Our Heavenly Father Yah! ALL PRAISE AND THANKS IS TO YHWH OUR CREATOR AND SUSTAINER, WHO HAS BEEN THE BEST OF PROVIDERS IN THE WAY TO SALVATION AND MERCY THROUGH YAHOSHUA - AMEN. DEAR BROTHERS AND SISTERS, PEACE AND BLESSINGS BE UPON YOU ALL.PLEASE HEAR MY PRAYER THAT I MAY KNOW MY CREATOR'S NAME THROUGH THIS WONDERFUL TRANSLATION. I PROMISE TO SEEK HIS GOOD PLEASURE BY SEARCHING THE PAGES DILIGENTLY. I THANK YHWH FOR REVEALING HIS LOVE AND MERCY TO ME THROUGH MESSIAH. I THANK YHWH FOR ALL OF YOU. I HUMBLY ASK YOU TO PLEASE ACCEPT THESE (2) STAMPS TO HELP WITH SHIPPING COSTS. THANK YOU! WRITTEN WITH GREAT LOVE AND SINCERITY, YOUR BROTHER IN TRUTH, - ANTHONY. For all things work together for the good of those who love God, who are called according to His Purpose Romans 8:28. 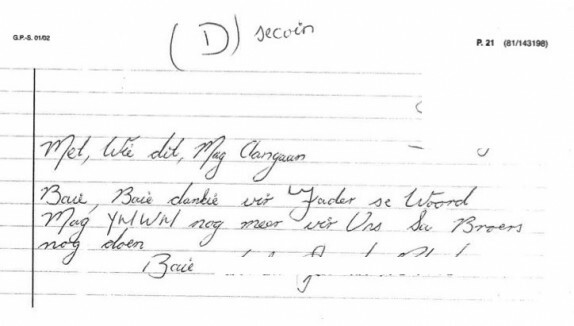 We receive so many letters from prisoners who ask us to pray, as they have no family whatsoever or any believers around them. Like those in 3rd world countries who have never had the privilege of owning such a treasure, they weep so much. It is their only comfort and joy and they have so much time on their hands each day that they read the Father’s Word for long periods of time and just love the Word. It is at this opportune time that I write. It is the beginning of a New Year and a newness of heart in which I am striving to enter into the Kingdom of God with a new heart and mind, the old is gone and the new man is manifesting by the operation of God. I am seeking your aid of generosity in that I am seeking to glean the edges of the field, as I am a poor person who prays this is not a hindrance in receiving a wonderful blessing: The HalleluYah Scriptures. A fellow brother showed me this wonderful edition of the bible and I am now writing your organization in hopes of obtaining a copy for myself. If this is something you are able to assist me with, I would be most grateful for your gift. I would love to hear from you in any way shape or form. Would you add me to your prayer list if you have one. Thank you so very much for your service in furthering Yah's Kingdom. May He increase you accordance to the Prayer of Jabez. 1 Chronicles 4:10 HalleluYah! In the Love and Truth of Messiah, Roger. 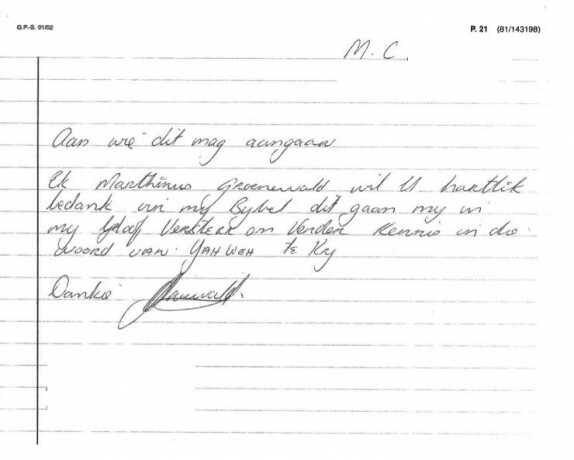 Some of the letters we get are so touching and so real and we have received a huge number of letters from those in prison, these messages are heartbreaking and they have made us weep and also bought us to our knees in prayers. The pain they feel if they are innocent and have not done the crime is very painful and even if they have done the crime the shame they feel is heavy. Thank you, thank you, thank you! I am a serious student of the Scriptures. Wow! I am so excited to see your version. Finally an honest attempt to get it right. Thanks for your work of love. I pray in and through Yahshua's Name that you always have more than you need to supply everyone a copy that wants one. Blessings in Him, Dan. Praise Yah! There are brothers and sisters as young as 16 years old that have life sentences but their eyes have been opened and they see they have been lied to. On behalf of these brothers and sisters, we want to say a special thank you to those that have donated for them to receive the best gift in the world. The prisoners are so very grateful for your gift. They spend hours reading His Love Letter from YHWH which gives them hope and a joy that nothing else can give. YHWH's Ruach' is clearly moving on all souls in our Adon Yahshua and this is the reason, as we are instructed by Abba for the HalleluYah Scriptures Prison Ministry. All Glory to Elohim!! As you know this project and the work it does is according to Scripture: we believe in helping prisoners, feeding the orphans and helping widows where possible. The project has been able to help so many over the years, feeding them His Word through you, who have provided us to do this important and urgent work. We also help families with sustainable needs so that they can help and provide for their family. Here are many more comments. We have received thousands, so have chosen a few to share with you. HalleluYah. Thank you very much for your generous donation. I have begun reading the HalleluYah Scriptures and it is such a blessing. It is so encouraging to find organizations like yours that are committed to helping people change their lives by discovering the Truth in the HalleluYah Scriptures. 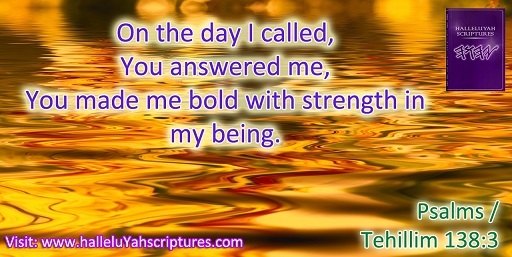 I find my relationship with YHWH deepening in a way I have not experienced before. I know the HalleluYah Scriptures will take me even further into my faith. - Perry. Dear HalleluYah Scriptures, Rejoice! He is coming! Good Morning :-) I am very, very excited about my Hebrew class. I have been in prison since 2003 and this is the first classs where I knew I belonged. It twas just as if when I walked into the sanctuary of the fellowship. I had this feeling that said this is it! I am in class and she told us you'd put a rush on the HalleluYah Scriptures! Thank you. Respectfuly, Brenda. This will not be the last time you hear from me or possibly the assembly at this Texas Department. The HalleluYah Scriptures has given us a solid foundation of Truth upon which YHWH will build us up to do His Will. Shalom, Child of the One True King, Robert. I would like to thank you in advance for a copy of the HalleluYah Scriptures, for your time, consideration and love for fellow brethren who are desperately trying to come out of darkness into Light. May Father Yah bless you for this act of kindness that is in accordance with His Will that none more perish but all would believe in Yahshua Messiach and have everlasting life - Johanan 3:16 Paul. 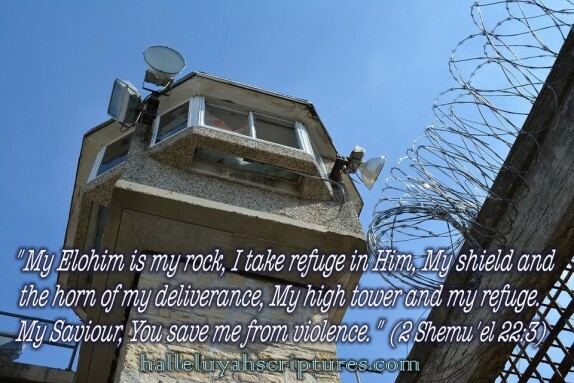 Though incarcerated, I have found a relationship with our Creator. Some brothers have taken me under their wing - they showed me the scriptures that they study - The HalleluYah Scriptures, thank you so much! Geremy. I am a Messianic believer in Yahushua our Messiah. 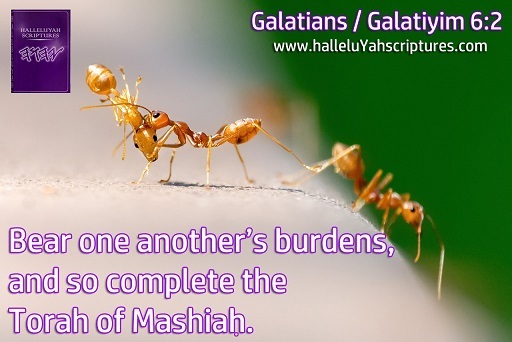 A fellow brother of mine introduced me to HalleluYah Scriptures, this is a wonderful gift to further strengthen my most qodesh faith and walk with our Great Creator YHWH, thank you for your help and may YHWH continue to richly bless you all in His Service. Terry. May YHWH continue to bless the work that you are doing and bless each and everyone of you individually. Thank you and Yah bless you! Ruben. I just saw the bible you sent out and was blown away by it! I wish one day to be free to help the poor, afflicted, sick and forgotten. YHWH bless you all, here from Texas -Matthew 25:31-46 "I was in prison and you came to me". Blessings and love, Brandon. Thank you very much for your kindness and generosity for sending me a copy of HalleluYah Scriptures which provides an excellent spiritual oasis for the men here whose requests are genuine and are likewise, very appreciative. With much love in Yahushua the Melech King, By:Grady. I was told you have the best bibles and that you help prisoners, Yah Bless You! and thank you very much! By: Darwin. (Free copy sent) We prisoners highly appreciate your love and outgoing concern for us in providing us with the Word of Yah. YHWH Bless and thanks again! By: Keith. Having been revealed - the true name of our Father in the heavens; Acknowledging that we have to keep His name as a Memorial forever, Living to worship and to praise Him as we share the truth to the brethrens; Loving Him with all our hearts, all our soul, all our strength with fervor; Even through great length; Let it be pleasing to you, with the goodness of your heart, to accept my plea; Understandably, to request a donation of a copy of the Word. You will be doing a great deed by doing so and will give me greater strength, As well as guiding me in the right path, though I am not physically free. HalleluYah, for by faith, I know that I am already free as a bird. May Yahshua bless you and safeguard you, May Yahshua shine His Face upon you, and be gracious to you, May Yahshua look upon you kindly and give you peace - Numbers 6:24-26 Sincerely, Edwidge. Peace be with you with all of YHWH's Blessings. I am writing to you to let you know I received the HalleluYah Scriptures. I am really going to enjoy studying the Words of YHWH and Yahshua very much. I would like to ask if you have anything else that would help me in my studying of the True Faith, beliefs, Ways and Words of YHWH and Yahshua. Thank you so very much for your time and assistance for sending me the HalleluYah Scriptures. May YHWH be with you always, Sincerely, Kenneth. Dear Friends of Our Almighty YHWH, THANK YOU! I LOVE MY NEW BIBLE. It has built up an excitement in me for studying again, what has been missing for a long time. I get a study where references are written in Hebrew names, but I had no reference to know how to find them (still learning Hebrew). Your bible completes what was missing, so I can now do these studies to their completion. A path I could not have been able to do without your help..Thank you so very much. My prayers are with you every day, may you all be blessed a thousand fold. HalleluYah Praise Our Yah Sincerely, Asgia. Dear HalleluYah Scriptures, I am writing to you so I can let you know that I have received the HalleluYah Scriptures, Names Meanings - thank you so very much for this Book. I received it today. It will be very helpful to me in my studying the HalleluYah Scriptures. I am enjoying and getting much pleasure studying the HalleluYah Scriptures, learning YHWH's Words without the pagan deities and titles. I will so much appreciate all of your help you are able to help me with. I would so much love to learn and find out about you! I am a member of the Sabbath Keepers. Thank you so very much for all the help you have given me and for your time and assistance. 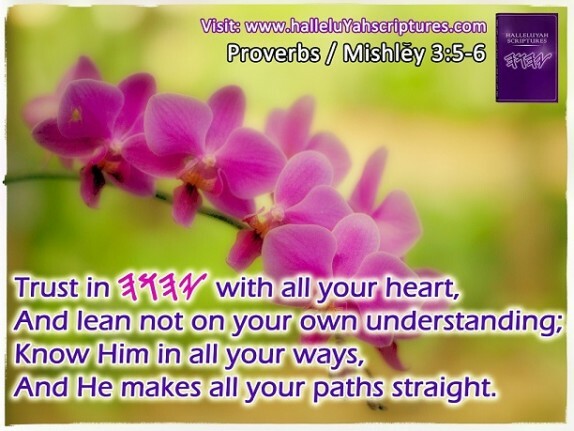 May Yahweh always keep you in His Arms and always be with you! Sincerely, Kenneth. I pray that our Father continues to bless this ministry. Thank you for being there for us - the prisoners in chains. Juan. Since I have been down, I have been soul searching to find my own answers and I met a guy that gave me your information. I have struggled with religion and since I have been incarcerated I've had a sort of thirst to find the answers to some of my questions. I've led a pretty negative life in my past and I believe the quest I am on will lead me to a better place than I've been. Please send me a copy of the HalleluYah Scriptures, it would mean more to me than these words could ever explain. God Bless, Kevin. (Free copy sent) I met a man named Tom who wrote to you requesting the HalleluYah Scriptures English bible. I was under the Catholic tradition, after years of guilt and misinformation, I have decided to dedicate my new found sobriety and positive attitude to a new literal translation of the bible - like the one Tom got from you. I have begun a new spiritual path and want to continue on a path to positive reintegration to society and feel your Hebrew bible will help enormously with this process. I am starting to question my own purpose and reorganize my priorities in life and want to seek the truth. Prison has changed my life by taking it in a new direction. Without running into Tom and his HalleluYah Scriptures, my life could have continued on the wrong path. Please find it in your heart to send me a copy, I need all the help I can get. Your honest and sincere generosity will not go unnoticed - the Truth will set me free! Alex Beaton. (Free copy sent) I have given my life to YHWH, but I sometimes believe the bibles that were given are really not preaching the true word of God. I was told your bible is good. I am a truth seeker and I do not want to be misled. Thank you and God bless, Marco. (Free copy sent) What brings me to you is I heard I can request a free Hebrew bible with English translation, I am searching for the truth and I truly believe you are onto something epic. I thank you for your time, effort and concern. Thank you and God bless, Oscar. (Free copy sent) Hello, My name is Terry Shane. I am currently incarcerated in the Texas Prison System. Could I please get a copy of the HalleluYah Scriptures. This is exactly what I have been praying and searching for. Thank you so very much for all the work you have put into this amazing book. Thank you and YHWH Bless all that you do, Terry. Your words of scripture have traveled the width of this nation and touched upon the hearts of a few of us, here in prison, who are searching for the truth in scriptures. Thank you, I appreciate you sharing the Word. Robert. In the last few years, I've come to understand that I was in Babylon. To help renew my mind, I've felt led to use scriptures that exclude the Babylonian baggage (Jesus-Lord-God-etc.) One of my brothers just told me that I might be able to obtain a free copy of: "HalleluYah Scriptures" from your assembly. If one is available, I can assure you it will be utilized for our Father's Glory. I've been shown in the Spirit that this Shemitah year is the one that will cause many to be released from Ohio prisons. The states finances are about to dwindle away. Your friend in Yahshua the Messiah, Roger (Free copy sent) Shalom Brethren, My name is Nathan. I help lead a study group here at ACI. I have a sacred name bible, but a few of the other brethren do not. If you could provide us with 1 or 2 , it would be greatly appreciated. Hope to hear from you soon, Shalom, Nathan. (Free copy sent) Shalom, Me and my cell mate received your HalleluYah Scriptures today. We are so thankful that YHWH has blessed us through you. We are very grateful. I want to pray blessings over your ministry and I see parole soon and might get released and I will preach the Word of Truth to my family. Once again, thank you so much - you truly remember the people in prison. But we have one more request - we would like to request 2 books - one for me and my cellmate of the Name Meanings. We send our requests together to save postage. Thank you and YHWH bless you always, Jaime and Dominguez. If you know of any prisoners who would be interested in receiving a copy of the HalleluYah Scriptures, please have them write to HalleluYah Scriptures and share their life story. We want to say a HUGE THANK YOU to all those who support and help to get the HalleluYah Scriptures into prisons. We can only praise the Father and His Ben as we see how the prisoners hold their HalleluYah Scriptures in awe and praise His Name every single day for that gift you gave them. Halleluyah!!! May Father YHWH and His Son show you much favor always for helping the truly poor and needy all over the world. We want to take the time to say a special thank you to all the HalleluYah Scriptures supporters.